Spent a bit of time searching the forum to get a definitive answer on if it is possible to fit 19 inch wheels to a 5.0 supercharged RRS with the 6 pot Brembo calipers, and so far I've been unsuccessful! There seems to be one style of Disco 3 alloys which are ok for a 4.2 SC with the 4 pot Brembos but has anyone actually fitted (or seen fitted) 19 inch wheels on a 5.0 SC? Thanks. 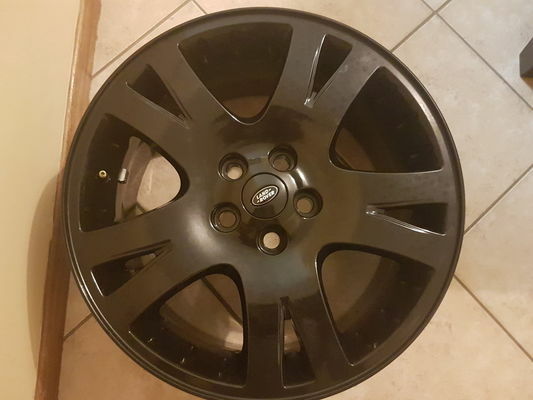 Correct me if im wrong but im sure their is 1 19" LR wheel that fits the 6 pot Brembo's,,its been brought up before on here somewhere.Is it the early TDV8 L320 that had the six pot or did they have the 4's,,its that long since I had one. Andy. No prob Bukster, I will post a pic this weekend , also BTW my sport is equipped with a full size 19" spare wheel which obviously also clears the callipers.